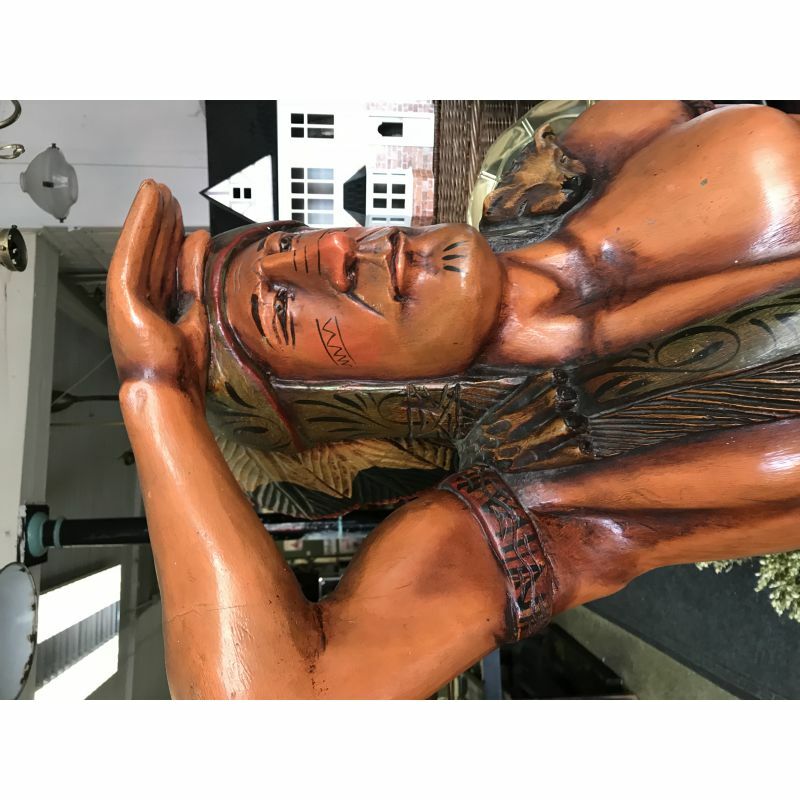 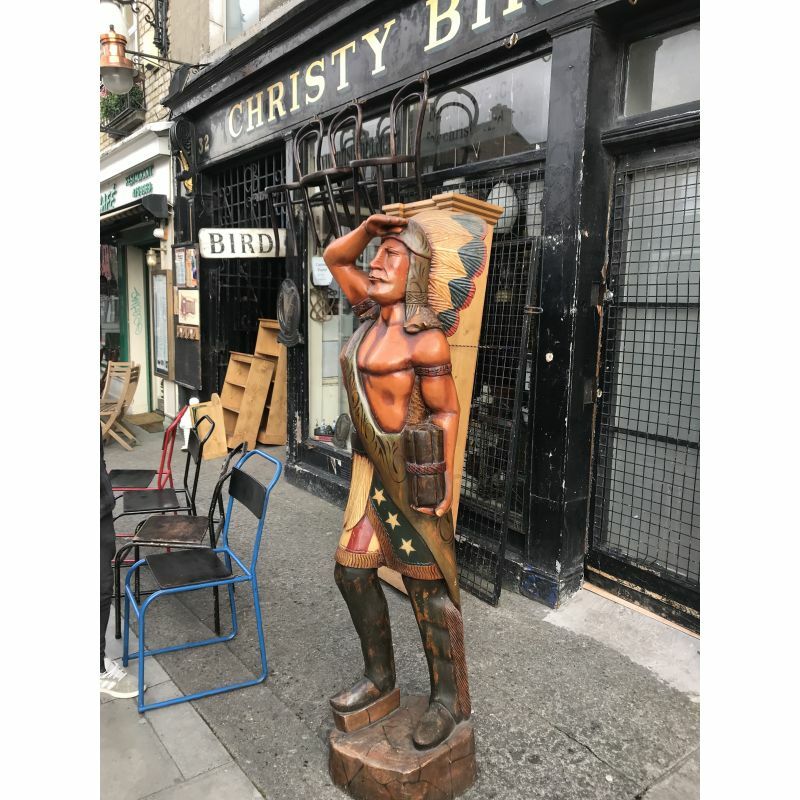 Wonderful Large hand carved American Indian Statue. 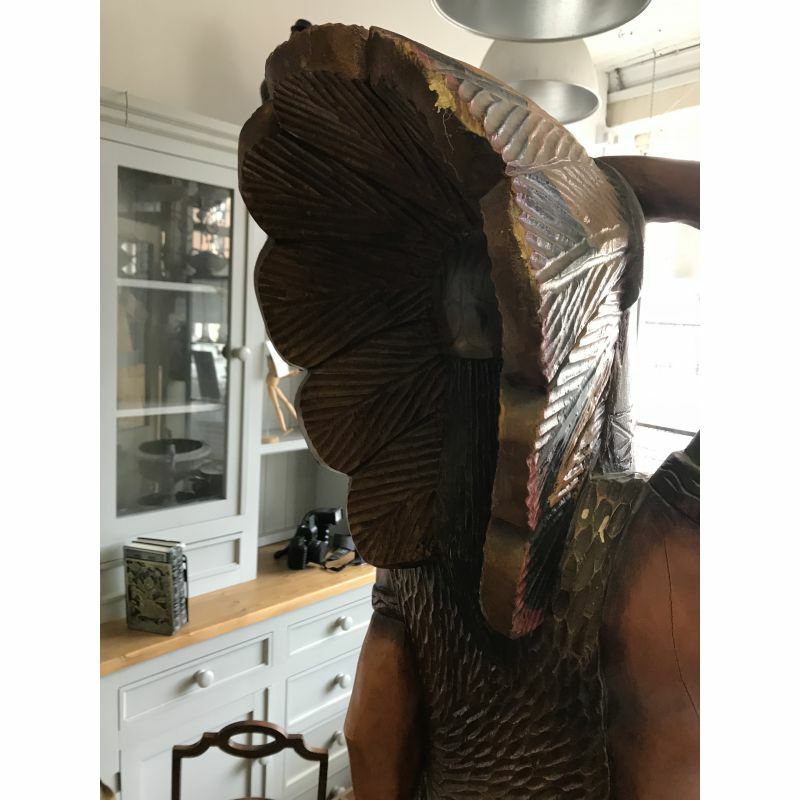 Standing 180 cm high, Great detailed caring with fabulous stained finish. This Indian was used to promote the sale of cigars in tobacconists.